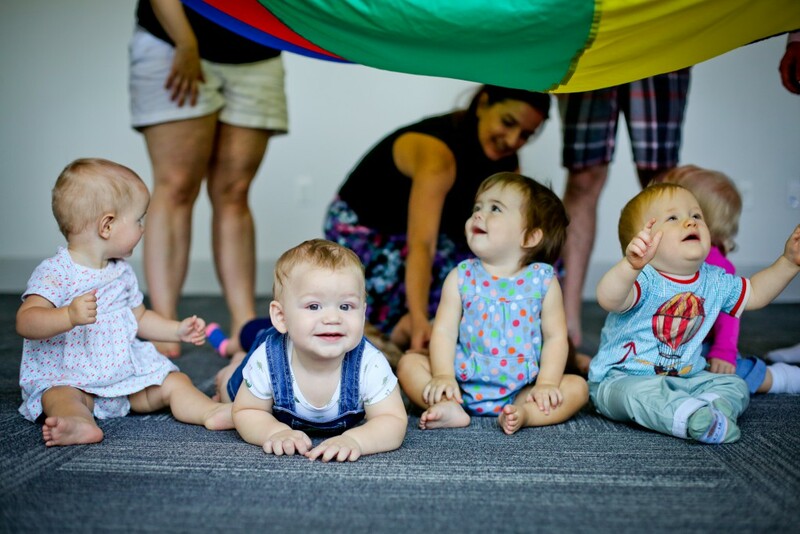 Kindermusik baby programmes are for young babies from approximately 6 months (non-walkers) and up to approximately 1-2 years (cruisers/early walkers), providing families with a special place for learning and connecting with other parents and babies through music and movement. Babies encouraged to explore and experiment within a safe environment, whilst all areas of their development are being stimulated through their senses. 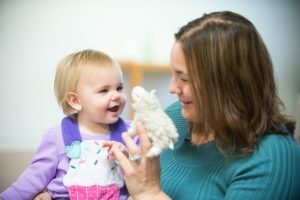 We will also learn more about how music helps your baby’s development.. Sing & Play Classes are for babies from approximately 6 months to early walkers aged approximately 1 to 2 years. 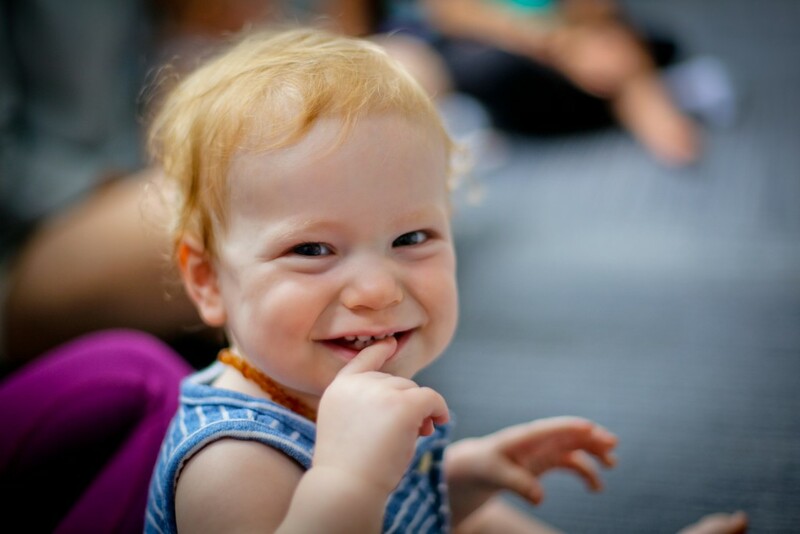 Younger babies are also welcome, please contact Ali to check which class would be best. In this unit we’ll learn to greet the day with all of our senses. Say good morning to the sunshine, blow away the morning dew, and stretch high and low as you explore and exercise fine-motor skills through instrument play and other fun activities. So get ready to wake up and say, Hello, Day! Get ready to go out on the town on an adventure! This unit takes us on a visit to the city to see what there is to explore, then out into the countryside with loveable bear. Bear will, of course go over the mountain and go a-yodelling too. Come along and join the fun – you never know what adventures you’ll have when you’re On The Town With Bear. Home Materials include access to Digital @Home Resources, a CD and musical shaker to take home.